At the San Diego Comic-Con, the 2018 Eisner Award nominations and winners were announced. The award is given for creative achievement in American comic books and it is probably the most notable form of recognition for the genre. The awards consist of 31 different categories including, Best Writer, Best Artist, Best U.S. Edition of International Comics, Best Academic/Scholarly Work, and Best Digital Comic. Some of the standouts included the following. 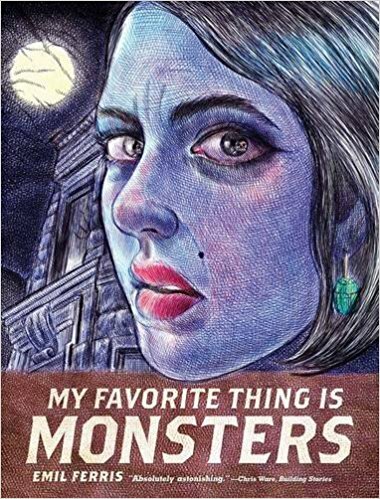 My Favorite Thing is Monsters by Emil Ferris received five nominations and won four categories, including Best Writer/Artist, Best Coloring, and Best Publication Design. Ed Piskor’s unique take on the history of the X-Men in X-Men: Grand Design received two nominations. Piskor had previously written and illustrated the popular and critically acclaimed Hip Hop Family Tree series. Well-known and prolific artist and writer Jeff Lemire’s Black Hammer and Royal City also received recognition. Thi Bui’s memoir of her early childhood and the journey of her family from war-ravaged Vietnam to the United States in The Best We Could Do received a nomination for Best Reality-Based Work and it was a National Bestseller in 2017. Marjorie Liu’s Monstress also did very well, almost winning an award for each category in which it was nominated. See the complete lists of the winners and nominations and view some of the additional graphic novels available at Mesa County Libraries at this link.